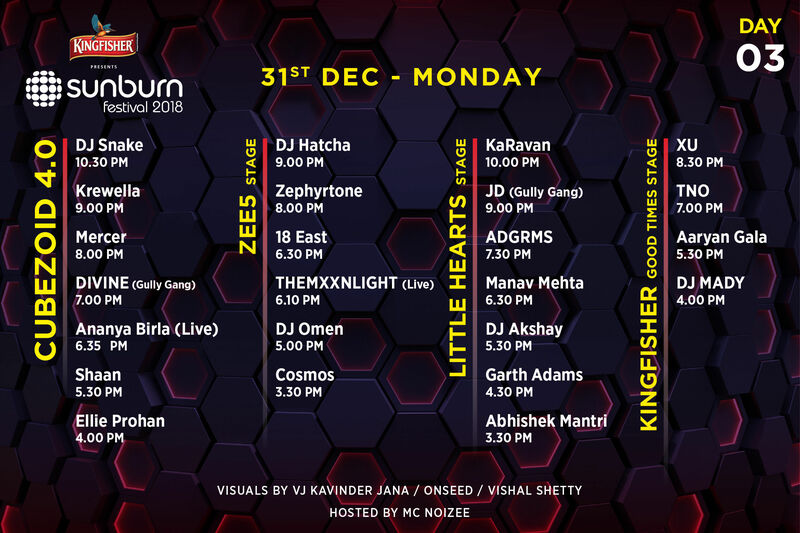 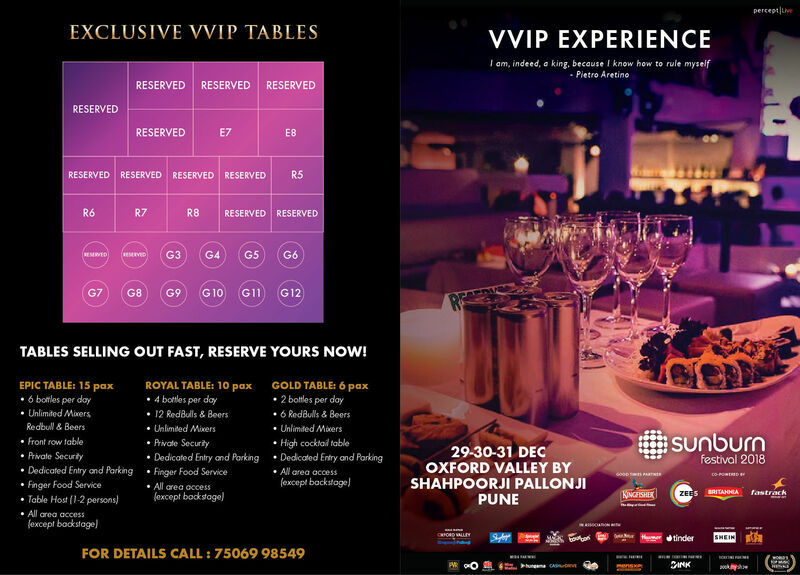 Sunburn Festival 2018 is a 3 days festival from the 29th till the 31st of December 2018. 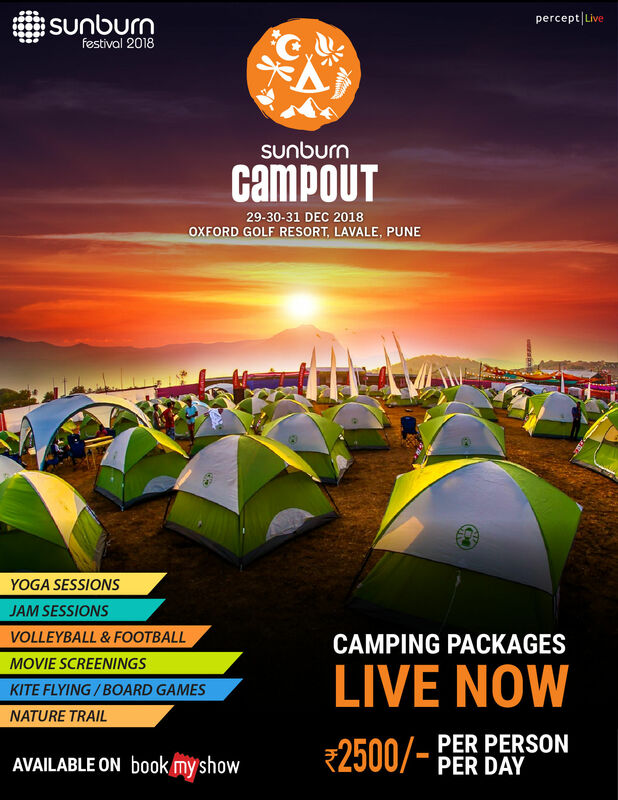 Camping and concert entry tickets can be purchased within 1 single transaction. 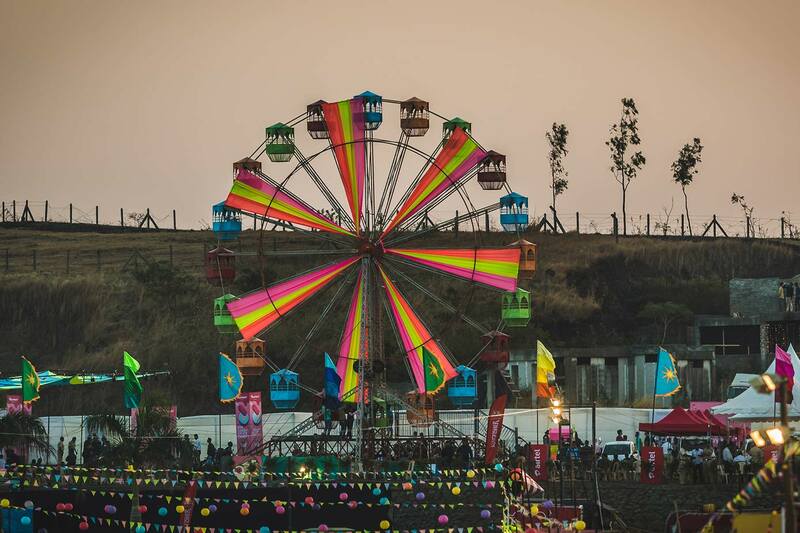 Concert entry tickets (if purchased separately) will give entry ONLY to the concert grounds. 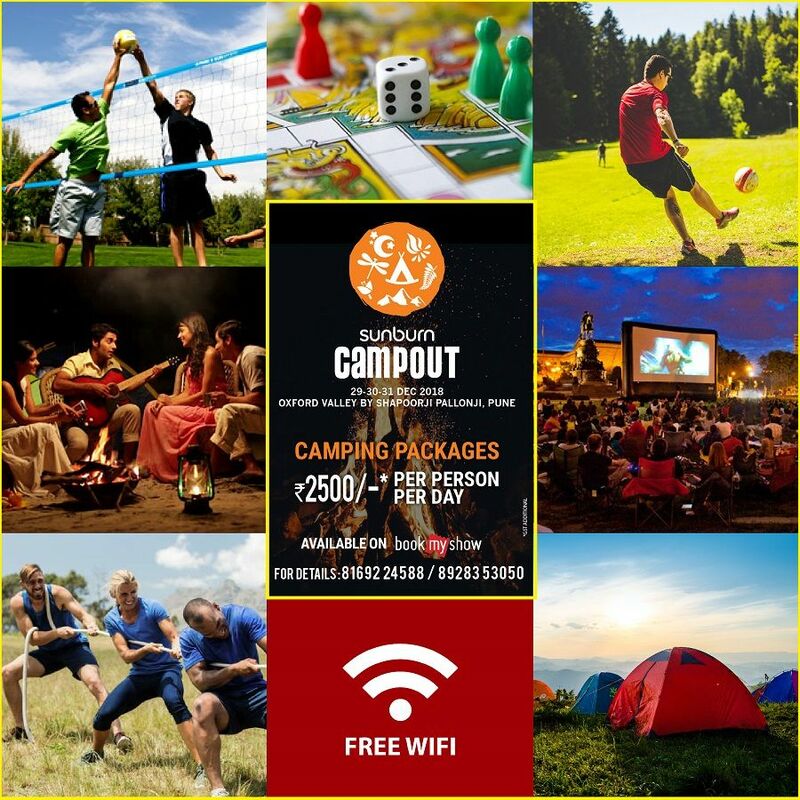 Camping (if purchased separately) will give entry ONLY to the campsite. 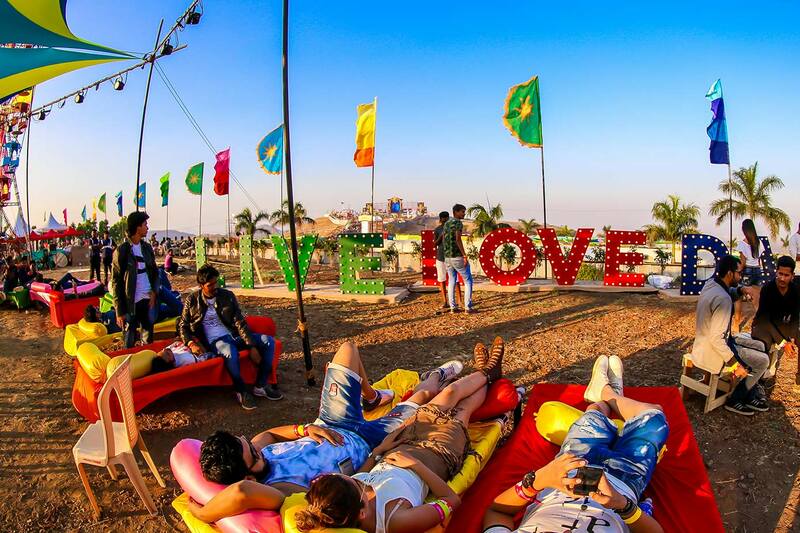 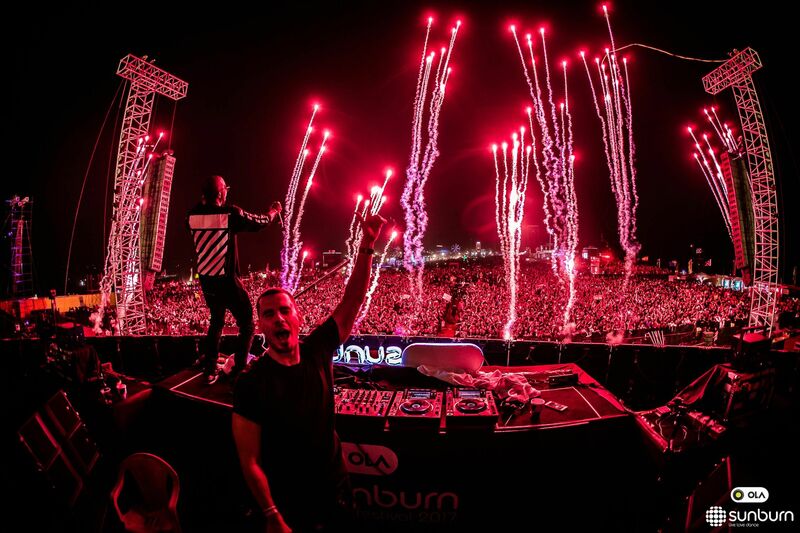 The Sunburn festival is back with its 12th edition! 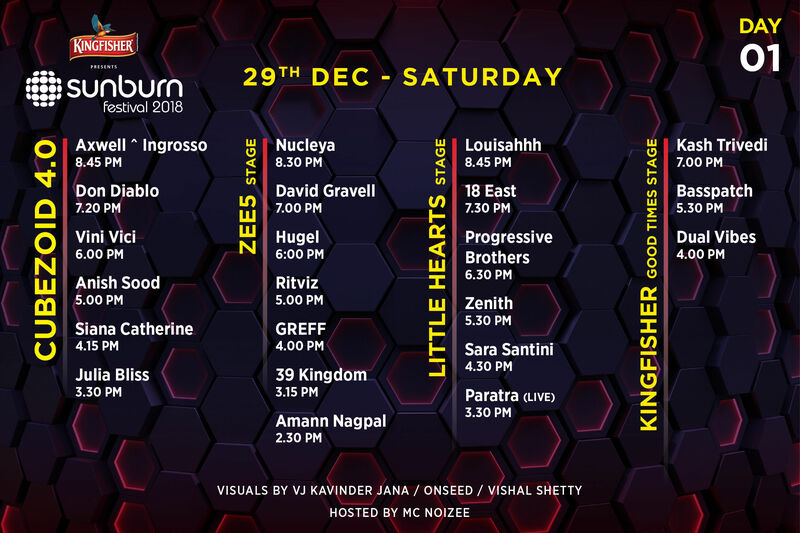 Experience the best of dance music from across the globe at the Sunburn Festival 2018! 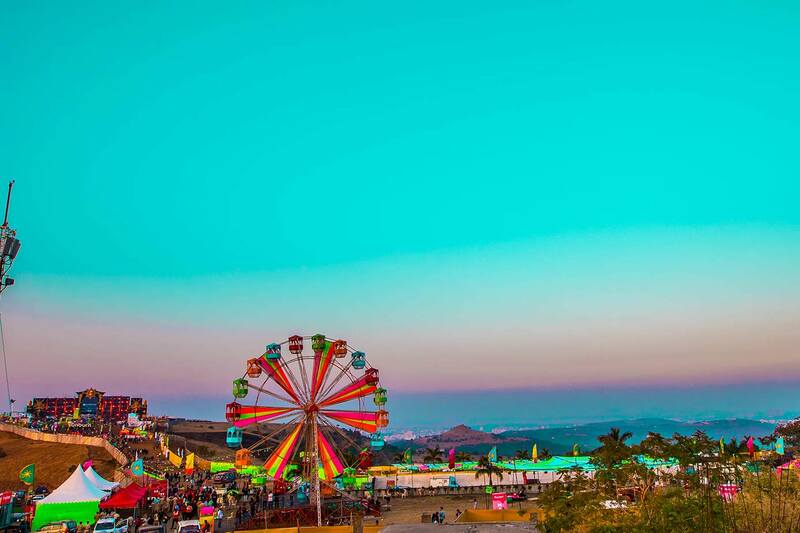 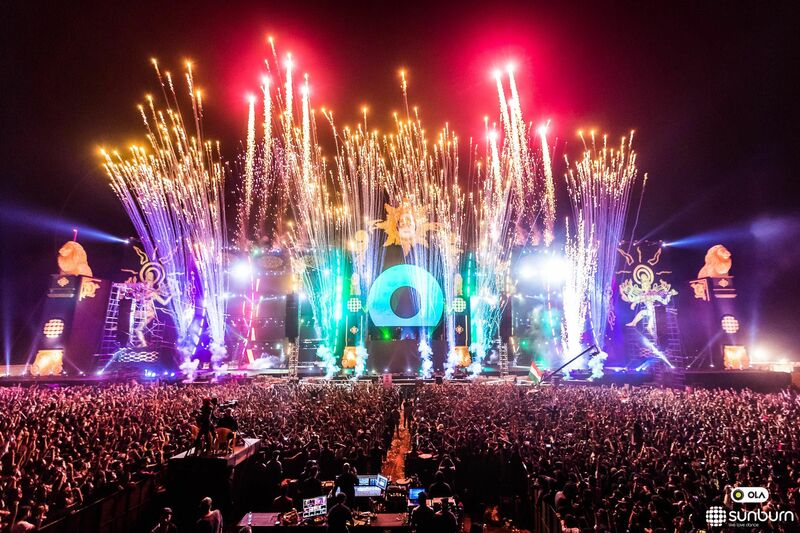 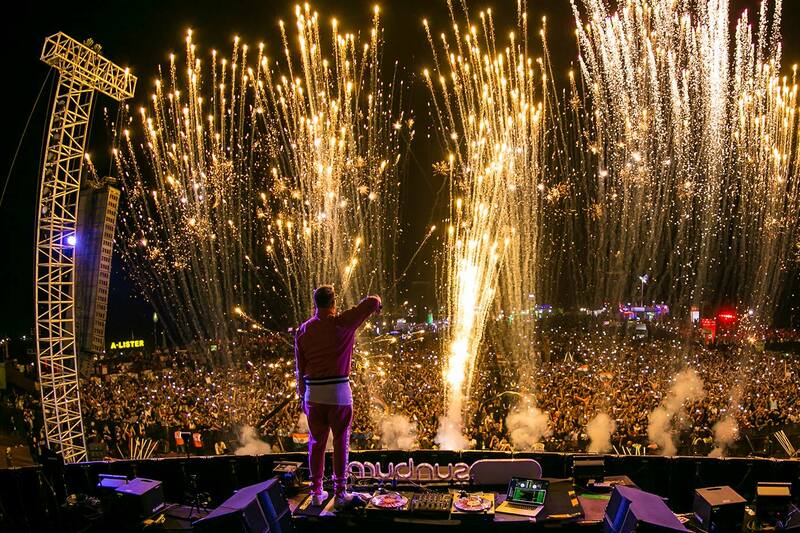 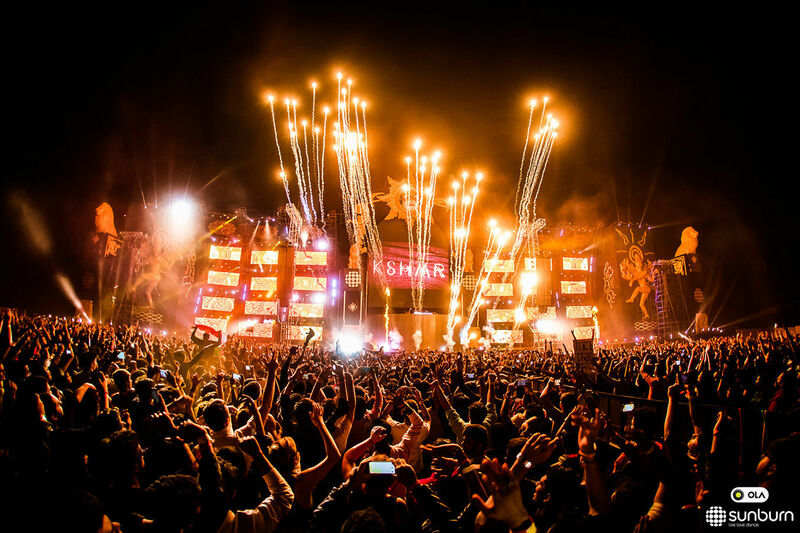 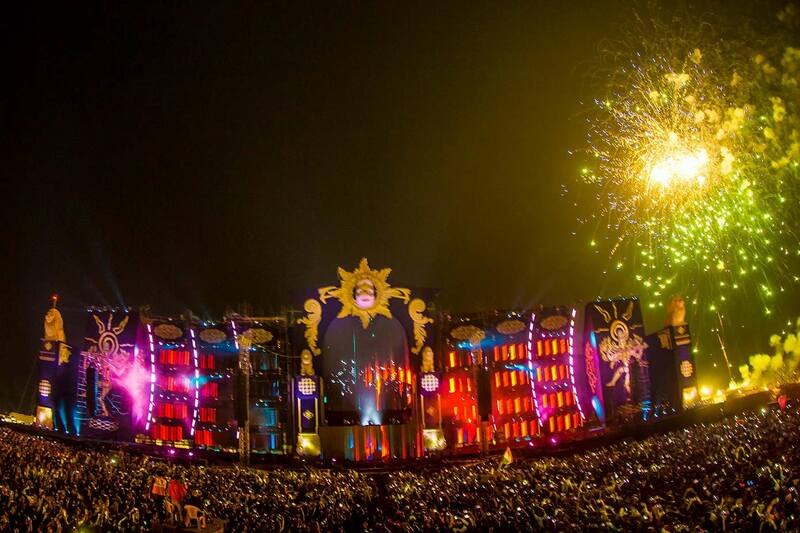 Sunburn is amongst the worlds biggest music festivals. 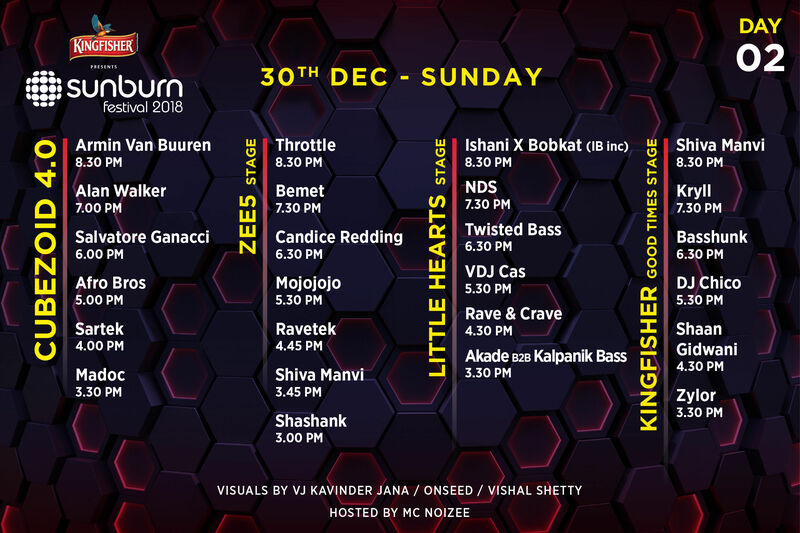 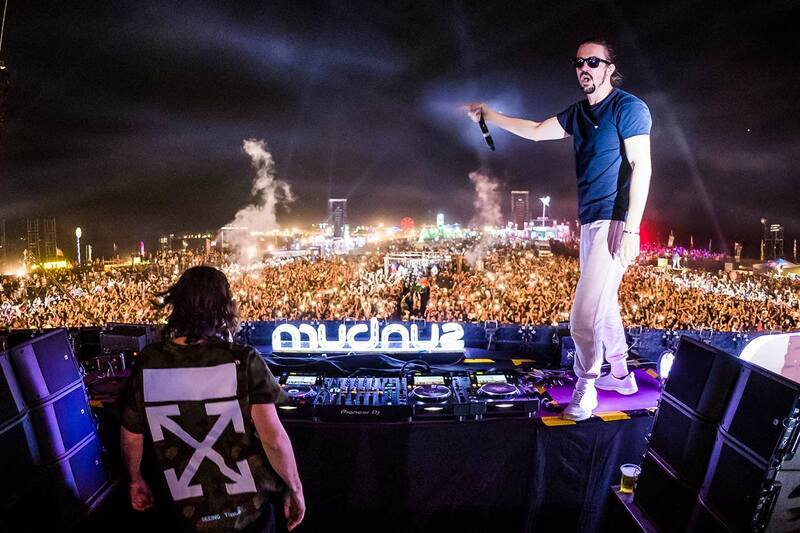 In the past eleven years of its existence, Sunburn has brought together renowned Indian and international artists to entertain hundreds of thousands of dance music lovers through its various formats that reach out to fans across India & Asia. 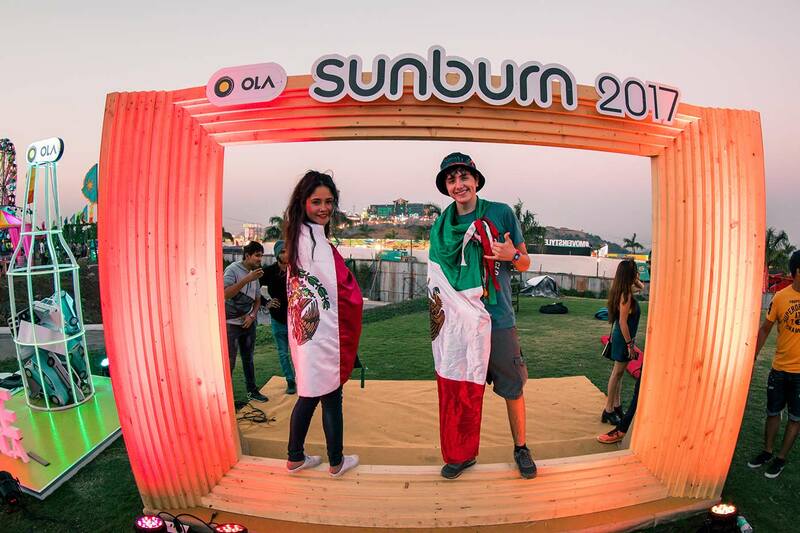 Sunburn caters to a wide Indian and International audience and has positioned India as a prime dance festival destination to the world. 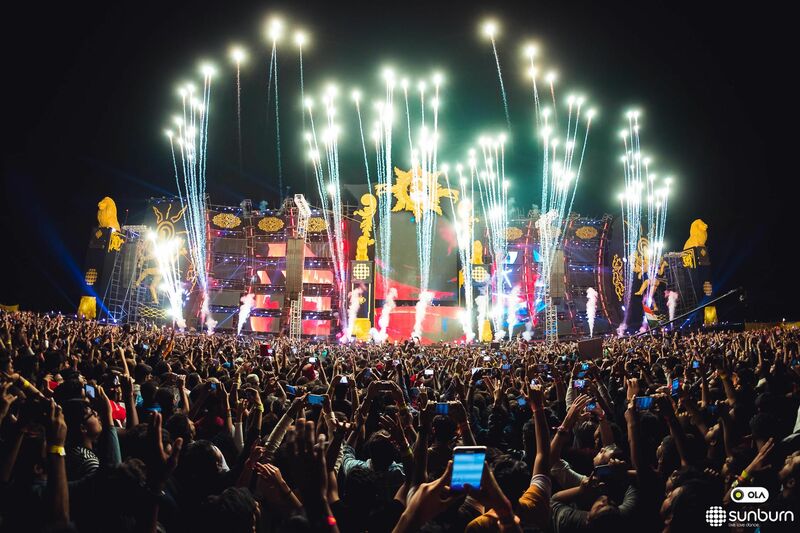 A physical ticket will be issued at the venue box office on the day of the event in exchange for your e-ticket purchase confirmation from bookmyshow.com. 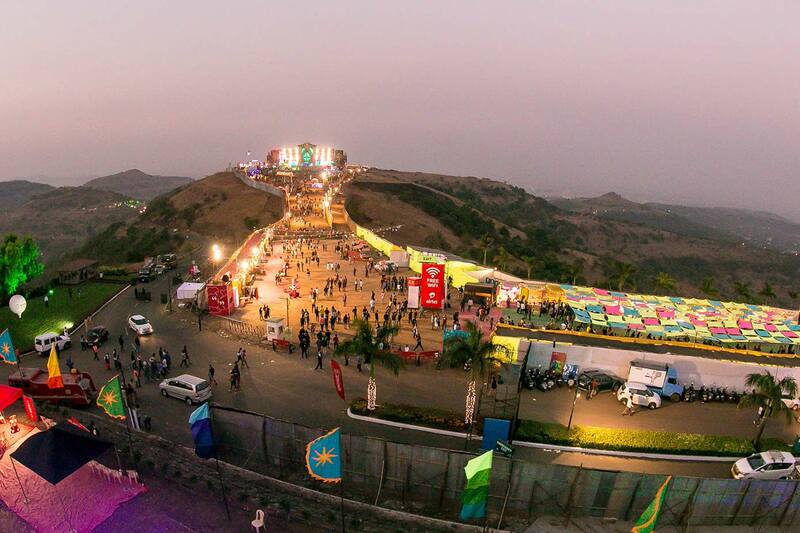 Please carry valid photo id for verification of the ticket holder name along with your e-ticket print out. 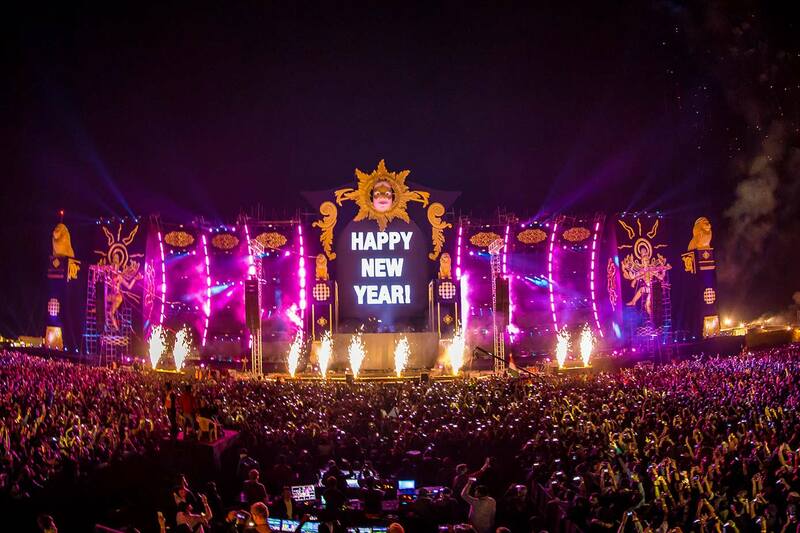 The holder of this ticket hereby grants organizers the right to use, in perpetuity, all or any part of the recording of any tape made of holders appearance on any channel for broadcast in any and all media globally and for advertising, publicity and promotion relating hereto. 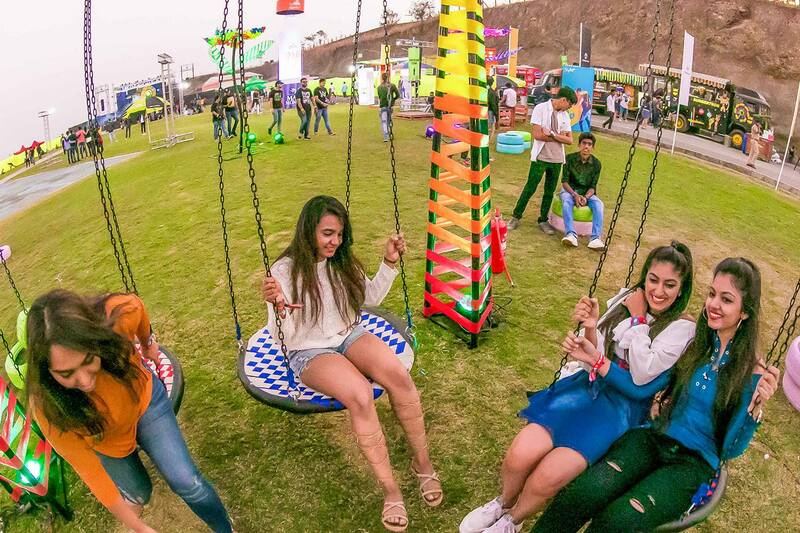 The organizers reserve the right without refund or other recourse, to refuse admission to anyone who is found to be in breach of these terms and conditions including, if necessary, ejecting the holders of the ticket from the venue after they have entered the ground. 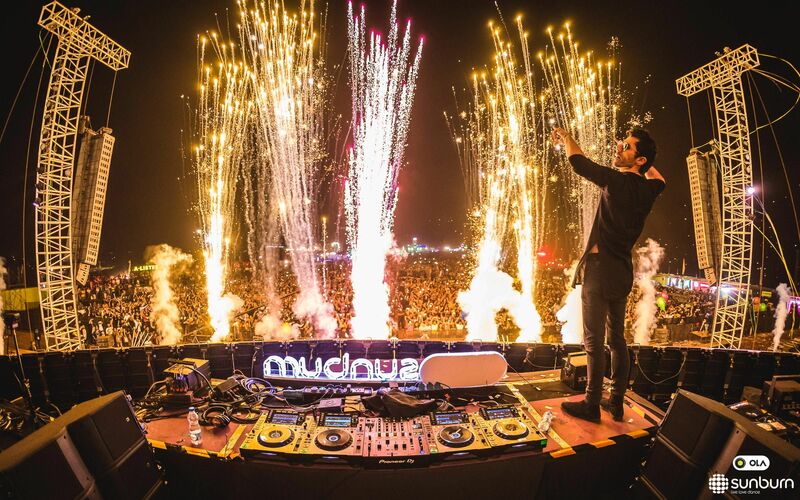 Consumption of the narcotic drug or psychotropic substance (cocaine, morphine, diacetyl morphine or any other narcotic drug) or any psychotropic substance is liable for rigorous imprisonment for a term which may extend to one year, or with fine which may extend to Twenty Thousand rupees; or with both under NDPS Act, 1985.